We have all had to prepare for tests in the past. Whether you are doing it in high-school or college, you want to take time to test yourself beforehand to make sure you are as ready as possible for your test. 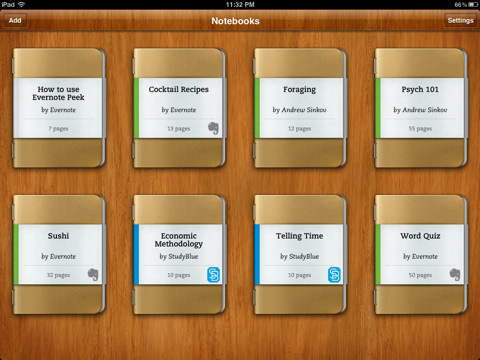 Evernote Peek is a cool application that lets you prepare for your exam the good old way. Evernote Peek is perfect for quick Q/A sessions no matter where you are. Just choose the notebook that has your test material. 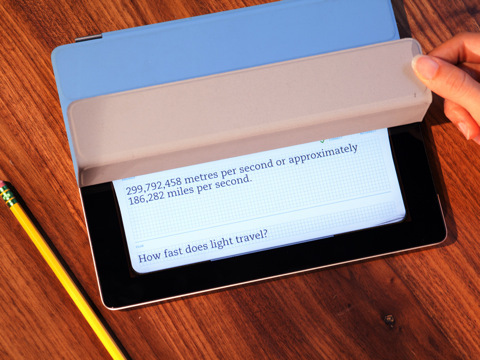 You can then use your iPad 2’s smart cover to cover the answers while you go through questions. When you are ready to know the answer, you can just lift your smart-cover. Adding study material to this application is pretty straight forward. You have to connect Peek to your Evernote account to get the most out of this application. You can create new notebooks in Peek. If you are having trouble with a certain course, you can just mark the questions you are having trouble with and do the test again and again until you get it. Overall, Evernote Peek is a pretty useful tool for anyone preparing for a tough exam. You will need to have an iPad 2 with a smart cover to use it though.